Back to the city after summer vacation: how to dress! – 5 look ideas for those of you craving something new! Back to the city after summer vacation: how to dress! How to dress in the city after summer vacation. Raise your hand if, like me, you’re all about trying new things after summer vacation, and are already thinking about new trends and new looks! Have you seen enough of the summer looks that led you through the past few months and your holiday? Are you lacking inspiration as to how to rock the summer clothing you have in your closet, yet aren’t quite ready to shop for your fall wardrobe just yet? Don’t worry – today’s post is just for you! In today’s post you’ll find 5 look ideas that’ll lead us into the new season, with a dash of fantasy: these looks are still summery, yet also all about new trends! Ready? Let’s go! Perfect for anything and for many different occasions: I love the idea of pairing a high waisted or under the knee skirt with a masculine and slightly oversize shirt. Your choice of accessories is fundamental in helping you play down the look, and will help you keep it young: a pair of pumps (aren’t these metallic ones cool?!) and a colourful pair of sunglasses or ones with mirrored shades will do the trick. Statement earrings: here are the trendiest earrings of the moment! – TOTAL BLACK: mix and match statement earrings, which are colourful or plain (including black) with a total black look. Black thus provides a backdrop for your showstopper earrings. – WITH COLOURS: mix and match colorful earrings with a look that includes the same colours as the earrings. Earring in shades of white, blue, turquoise? A look with these same shades will be perfect! – CONTRAST: got a pair of special earrings, perhaps with precious stones? Wear them with a contrasting casual look! 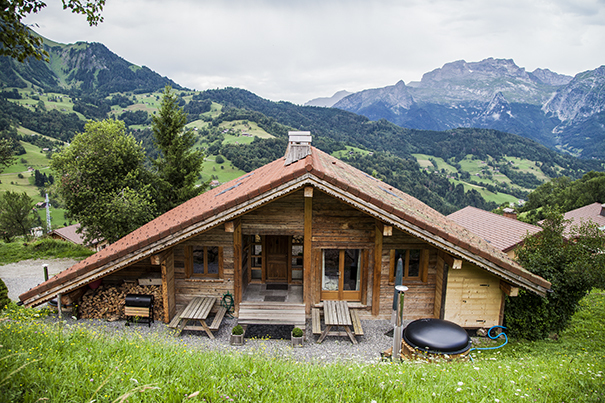 Renting a chalet in the mountains: Homeaway and my dream vacation! 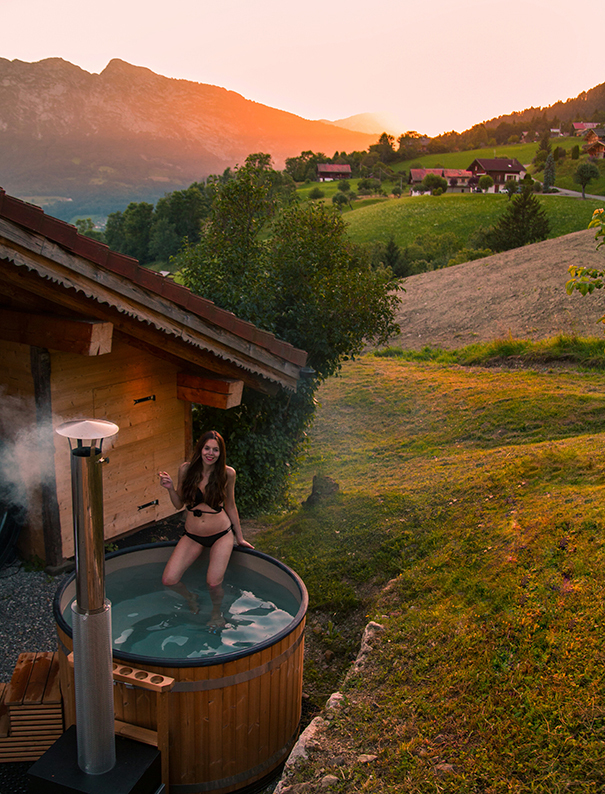 Renting a chalet in the mountains: how dreamy! Renting a chalet in the mountains. Hello girls!! How are you doing? As I’m preparing to leave to Sweden on a new trip the moment is here to share with you the beautiful pictures we shot during our summer vacation spent in the mountains in a chalet we rented, that I have to admit made many of us fall in love at first sight.. Many of you wrote to me on Instagram, Facebook and Snapchat!! Today I’m happy to share more about this beautiful chalet and insert a few direct links to browse through a few of the incredible homes to rent for your next vacation!! Our “Chalet Tournette”, the one you’ll see in the pictures of this post was located in Manigod near Thones in Upper Savoy. You can find this dreamy abode in the French Alps HERE. A living room with giant couches, super soft carpets, a TV and DVD player, a rocking chair, a wood stove, a terrace with an incredible view to enjoy the sun at high altitude, an outdoor jacuzzi where the water was heated by wood, a barbecue, and a private sauna in the bathroom. Anything you could ever want in a house in the mountains, where you almost wish for a rainy day to be able to enjoy it fully, from the fireplace to the UNO games, to the pancakes fresh out of the oven to the DVD marathons! In this post you’ll also find many pictures from the beautiful sceneries of Upper Savoy where we did some trekking for a week (accompanied by great food… How delicious is the food in France?!?!). Enjoy!! Celebrity style: My list of the best dressed stars! The best dressed celebrities. I am often asked which celebrities I think are the most stylish. Who are my current style icons? Whose do I think always look good? So in answer to these questions, I have compiled a list of my personal favourites of the celebrities that I think are always beautifully dressed! The best dressed stars: a list of the most stylish celebrities… according to me! The choice certainly wasn’t easy between models, It Girls, singers, actresses… and so on and so forth! Wow, there are so many well-dressed celebrities. But in the end I whittled my shortlist down to six… do you want to know who they are? Let me know who are your favourites!! In my opinion these are the six celebrities who have their own unique style, who are always fashionable without all looking the same, and whose style you should always consult for outfit inspiration. Are you ready?